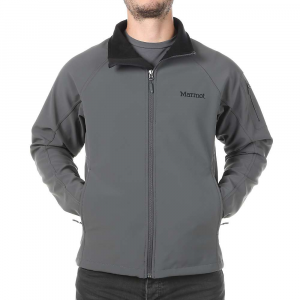 This is a lightweight soft-shell jacket that provides great protection from the wind and light rain while also remaining very breathable and stretchy. 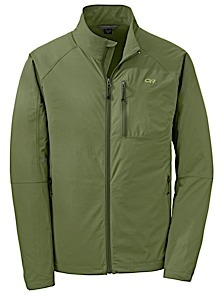 This makes the Ferrosi jacket ideal for a wide range of outdoor activities. 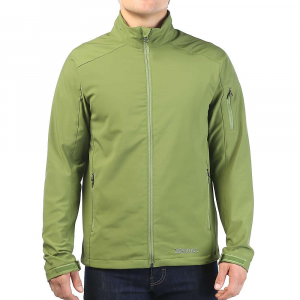 The overall fit of this jacket is pretty good and the jacket is very comfortable even during strenuous activity. I'm 5'9'' and about 135 lbs. and a size small fit me very well with the exception that the jacket is just slightly baggy around the torso area. The Ferrosi Jacket is a full zip jacket with elastic cuffs and a shock cord drawstring at the at the waist. The jacket is very wind resistant and will shed a light drizzle; however, in heavier rains this jacket will become soaked through. 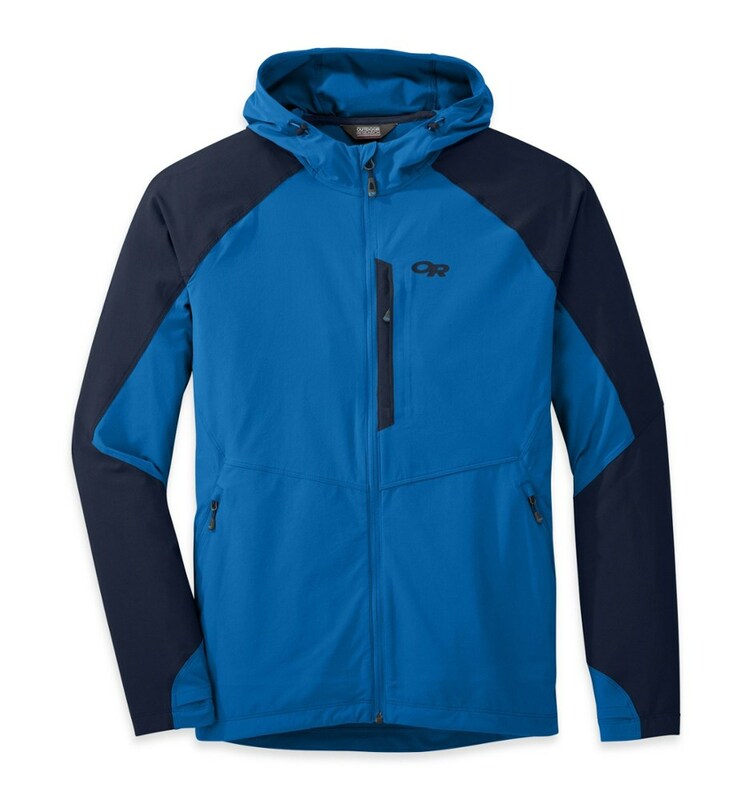 This jacket breathes very, which makes it ideal for hiking, backpacking, skiing, and even on windy jogs. 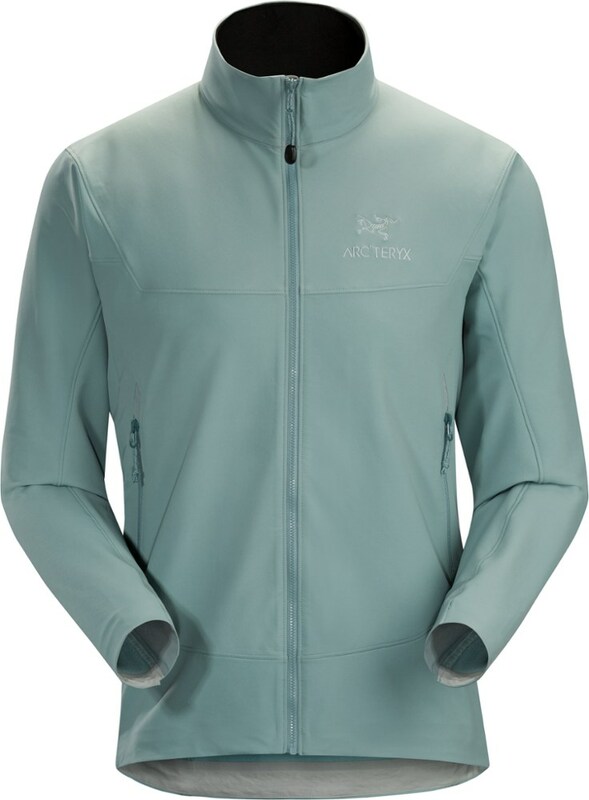 When using this jacket on an early spring backpacking trip, I was able to keep this jacket on steep uphill climbs still remain cool and dry inside the jacket. This jacket is not insulated or fleece lined, so it is not very warm. 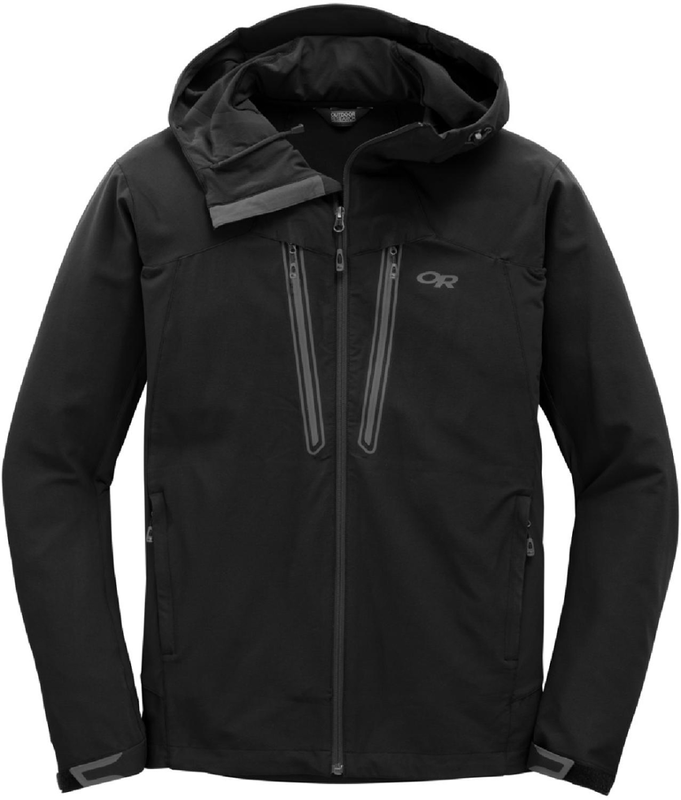 However, there is enough room underneath this jacket wear an insulation layer in cooler temperatures. 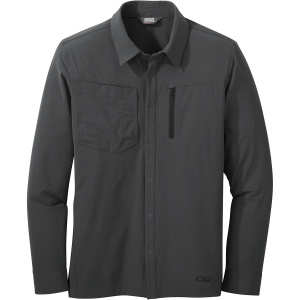 The jacket's material is very durable and abrasion resistant. It has not developed any signs of wear on the back or the waist after carrying a heavy pack. This jacket has 3 pockets—1, chest and 2 waist level—which are large enough to store energy bars or a pair of gloves. In addition, one of the waist level pockets doubles as an integrated stuff sack for the jacket.